Walmart Inc. (WMT.N) has hired a former senior executive at insurer Humana Inc. to run its health-care business, a move that could reignite speculation that the two companies will forge a closer partnership. The world’s largest retailer named Sean Slovenski as senior vice-president of health and wellness, reporting directly to Greg Foran, who runs the company’s U.S. business, according to a July 12 internal memo from Foran. The appointment is effective Aug. 1. Slovenski spent three years at Humana, rising to become vice-president of innovation, and most recently worked for a digital-health company that also partners with Walmart. 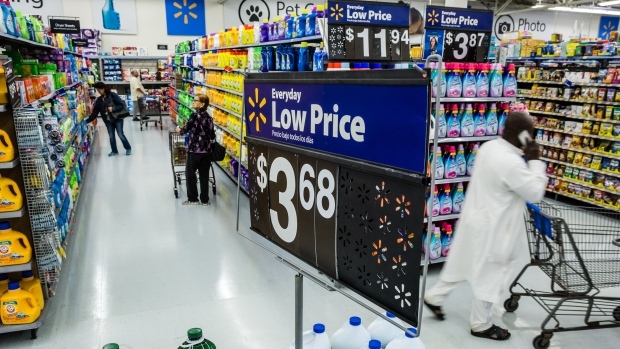 The move comes as Walmart and Humana explore ways to deepen their alliance to provide health care to consumers, a person familiar with the matter said in March. Walmart has been looking to expand its health business for years and could use a partnership with an insurer to take on a more powerful role in the delivery of medications to consumers. “Because of its strategic importance, we’ve decided to put more focus on our Health & Wellness business in the near term,” Foran said in the memo. The companies already work together on prescription drug plans for individuals in the U.S. Medicare program. The plans offer some prescriptions for as little as US$1, as long as customers pick up their drugs at a Walmart or Sam’s Club. Walmart could use a closer tie-up to steer more of Humana’s customers to its 4,700 pharmacies. Health-care spending accounted for about 18 per cent of the U.S. economy last year, yet the market is rife with inefficiencies that companies are trying to address through dealmaking. Cigna Corp. (CI.N) is acquiring Express Scripts Holding Co. (ESRX.O) for US$54 billion, and CVS Health Corp. (CVS.N) is buying Aetna Inc. (AET.N) for US$68 billion. Slovenski was most recently president of the population health business at Healthways, which is now part of digital-health company Sharecare Inc. Walmart recently teamed up with Sharecare to give employees access to resources to monitor their health, and Sharecare will play a part in the retailer’s in-store Wellness Days for customers, where it offers free health screenings. Marybeth Hays, a longtime Walmart executive, had been running the health business after the March departure of George Riedl. Details about her next role will come at a later date, Foran said in the memo.